anything and everything. 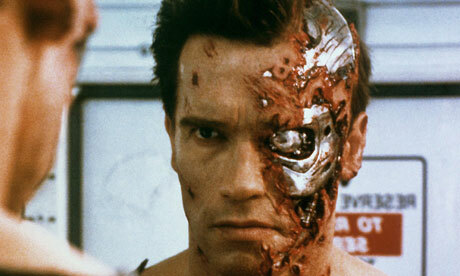 : Terminator : facts you never knew. 1. 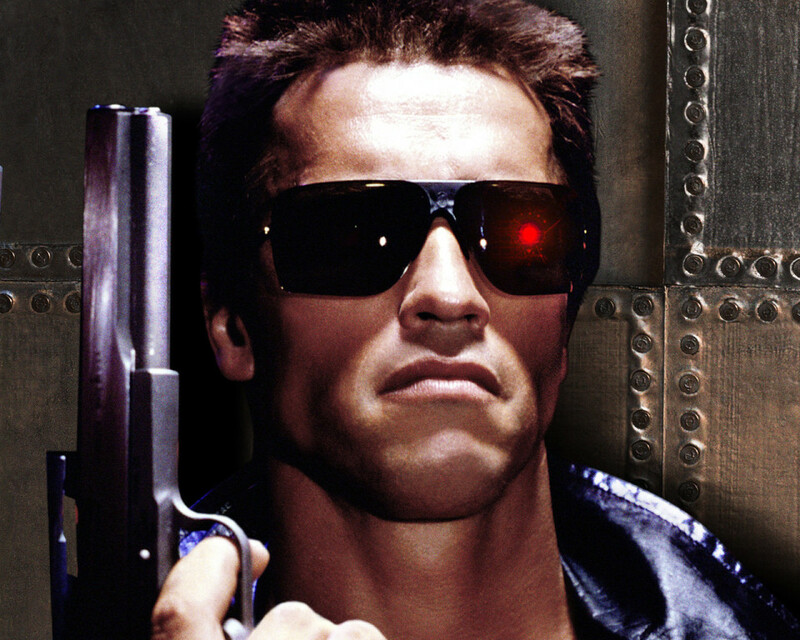 Arnold Schwarzenegger's famous line in The Terminator "I'll be back" was originally in the script as "I'll come back". 2. Near the beginning of the first movie, when Sarah Connor (played by Linda Hamilton) receives a message on her answering machine from a man cancelling a date, the voice on the machine is director James Cameron's. Hamilton and Cameron got married years later but have since divorced. 3. Mel Gibson turned down the role of the Terminator. O.J. Simpson was also considered for the role but the producers thought he was "too nice" to be taken seriously as a cold-blooded killer. 4. Terminator 2: Judgment Day is the only film of the franchise to win and be nominated for an Oscar. It was nomiated for six and ended up winning four. 5. Arnold Schwarzenegger was paid $15 million for the second film and had a toal of 700 words of dialogue, which meant he was paid $21,429 per word. "Hasta la vista, baby" cost $85,716. 6. Edward Furlong's voice had to be re-dubbed after filming of Terminator 2 because his voice broke during the shooting of the film. 7. Ang Lee was offered Terminator 3: Rise of the Machines to direct but turned it down to direct Hulk instead. Ridley Scott was also considered. 8. Arnold Schwarzenegger worked out for six months, about three hours a day, before shooting started, by which time he had the exact same body weight and muscle measurements as he had 12 years previously while shooting Terminator 2. 9. One of the weapons seen in the third Terminator film is named "Rumsfeld P81 Cauterizer" - a dig at ex-President George W Bush's Secretary of Defense at the time, Donald Rumsfeld. 10. Arnie initially refused to do Terminator 3 unless James Cameron was directing and only said yes after his director pal told him: "Just do it and ask for a s***-load of money".